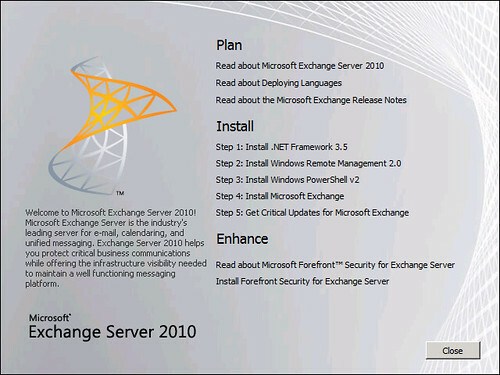 This article shows a step-by-step look at the procedure for installing Exchange Server 2010 on Windows Server 2008. With the release of Microsoft Exchange Server 2010 public beta, we were curious to see how the new and improved messaging platform performs in action. 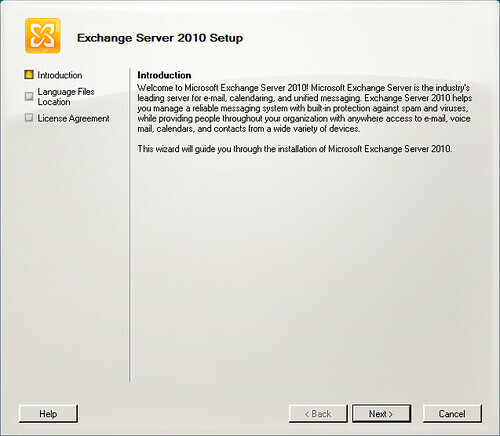 The public beta of Microsoft Exchange Server 2010, part of Microsoft's unified communications family, is now available. 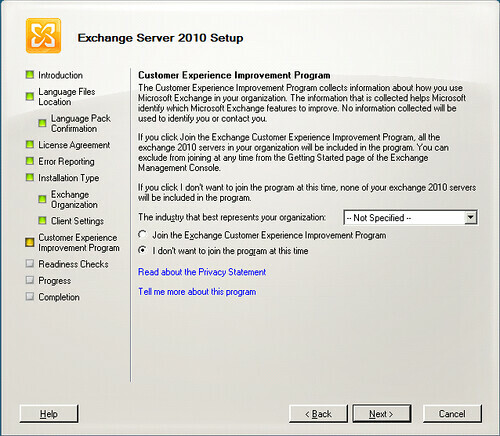 Exchange 2010 is the first server in a new generation of Microsoft server technology designed and developed to work on-premises and as an online service, and introduces a new integrated e-mail archive and features to reduce costs and improve the user experience. 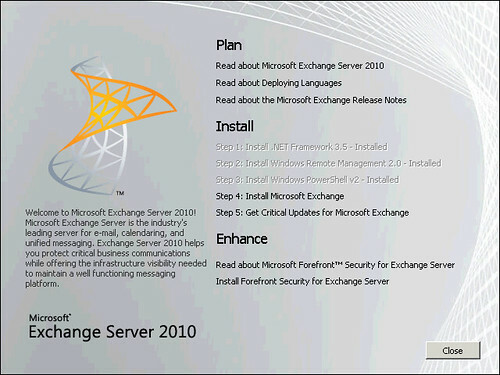 Follow the steps outlined in this whitepaper to install Exchange Server 2010 on Windows Server 2008. 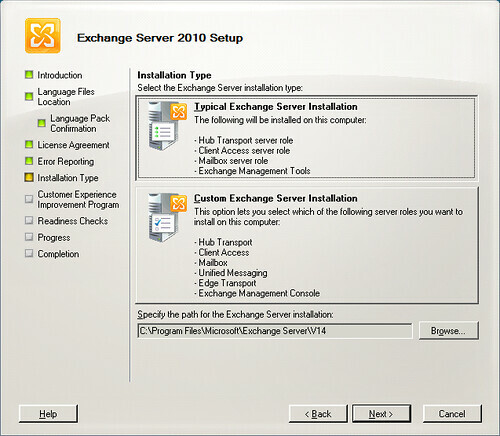 When you start the installer it outlines a number of prerequisite steps which must be completed/installed before Exchange Server 2010 can be installed. This release of Exchange Server is designed from the ground up to operate either inside your organization or as a hosted service offsite. This means support for IPv6. 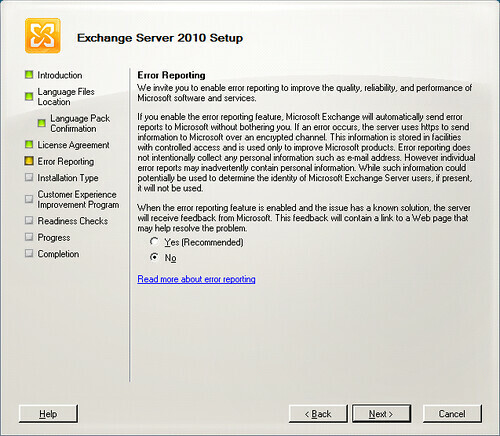 For some reason, if you disable IPv6 on the server before installing Exchange Server 2010 you will get an error when it comes to installing the Hub Transport Role. So don’t un-tick the IPv6 binding in the network card configuration, otherwise you will get a failure. cannot be found in the cache.."
I’ll assume that you know how to install the prerequisites, and I’ve pasted the links where the respective packages can be downloaded from. Install the extensions for ASP.NET AJAX 1.0. I’ll fast track this experience by assuming that you’ve already completed the above and now jump into the juicy flesh. On the Introduction dialog, click Next. On the Language Files Location dialog, click Next. On the Language Pack Confirmation dialog, click Next. On the License Agreement dialog, select I accept the terms in the license agreement and click Next. On the Error Reporting dialog, select No and click Next. 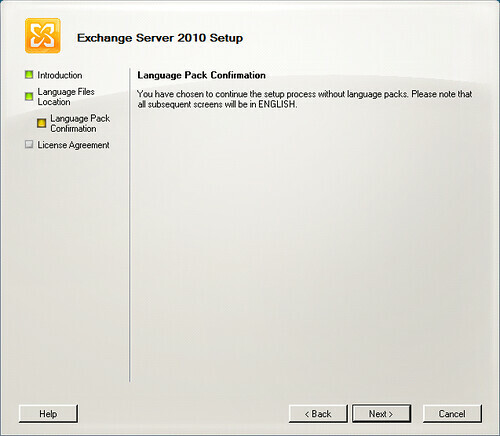 On the Installation Type dialog, select Typical Exchange Server Installation and click Next. 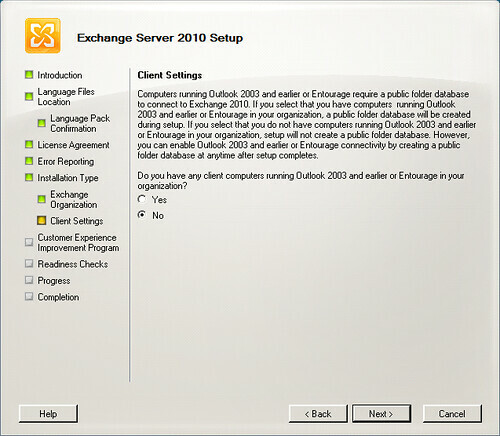 On the Exchange Organization dialog, accept the defaults and click Next. On the Client Settings dialog, click Next. On the Customer Experience Improvement Program dialog, select I don’t want to join the program at this time and click Next. On the Readiness Checks dialog, click Install. On the Completion dialog, click Finish. 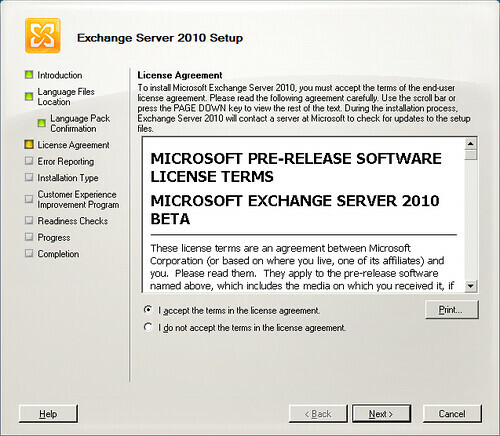 This article has outlined the Exchange Server 2010 Public Beta installation steps as well as provided much needed guidance on avoiding problematic installation problems.